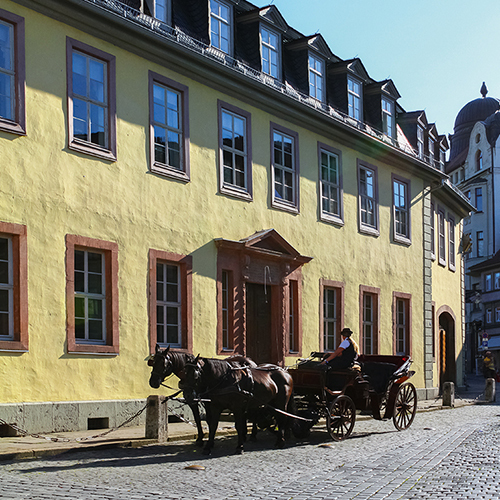 to the centre of the historic city of Weimar. 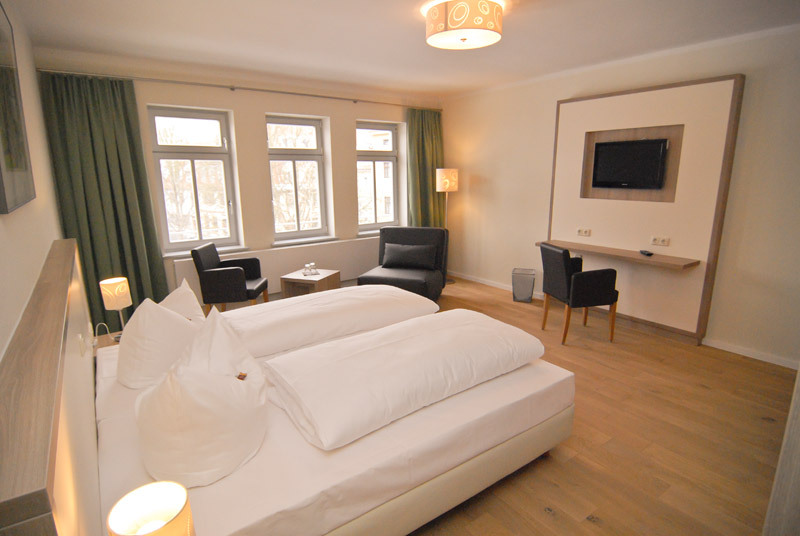 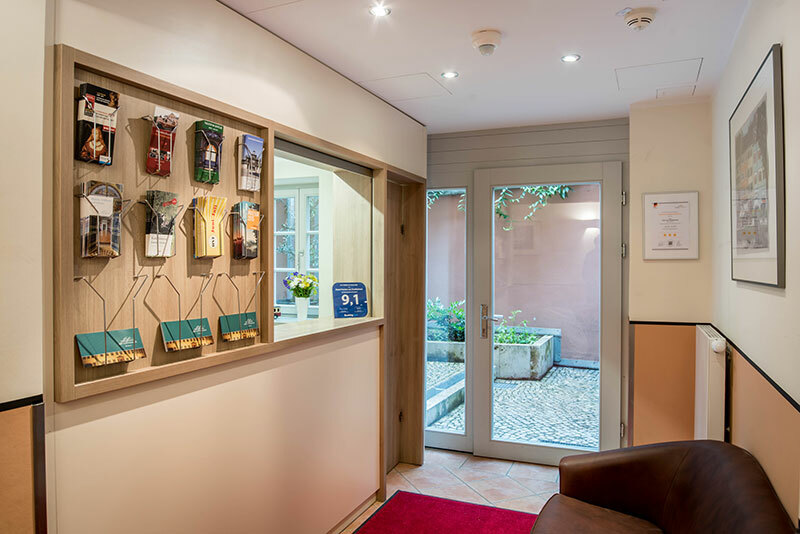 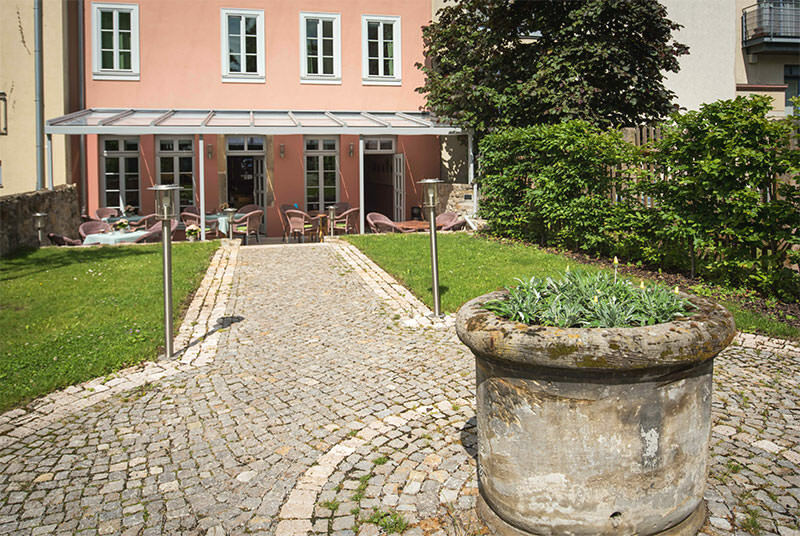 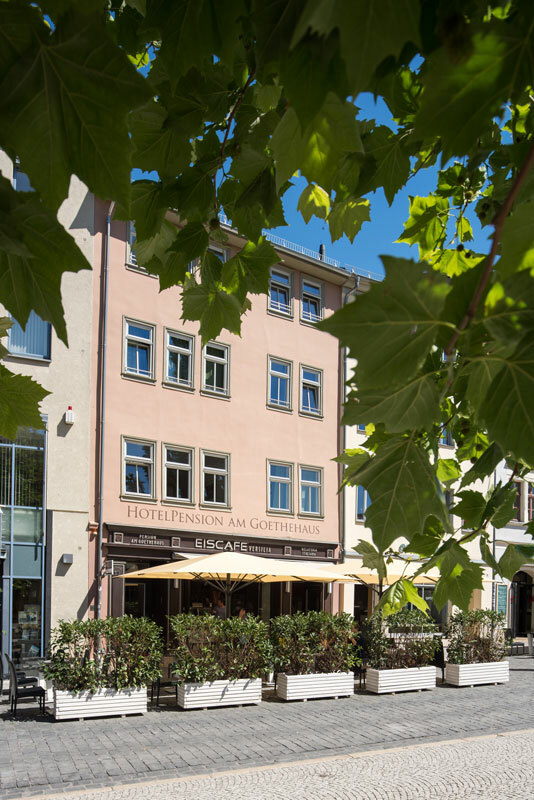 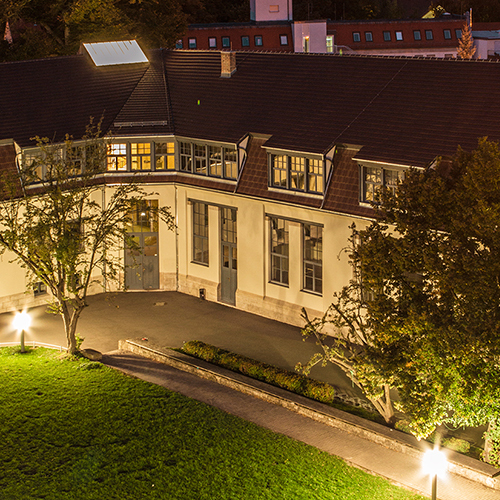 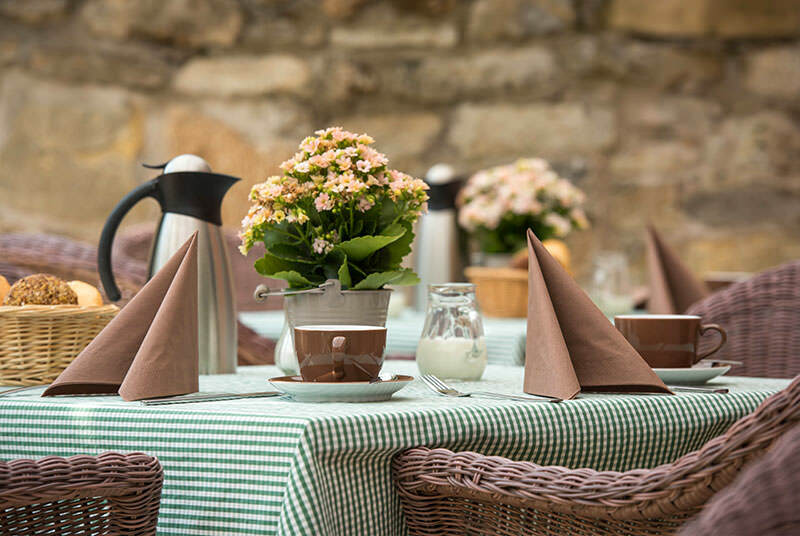 Our HotelPension, newly opened in February 2012, is close to the Goethe House, the Schiller House and to Schillerstrasse – and the picturesque Goethe Park is also only two minutes' walk away. 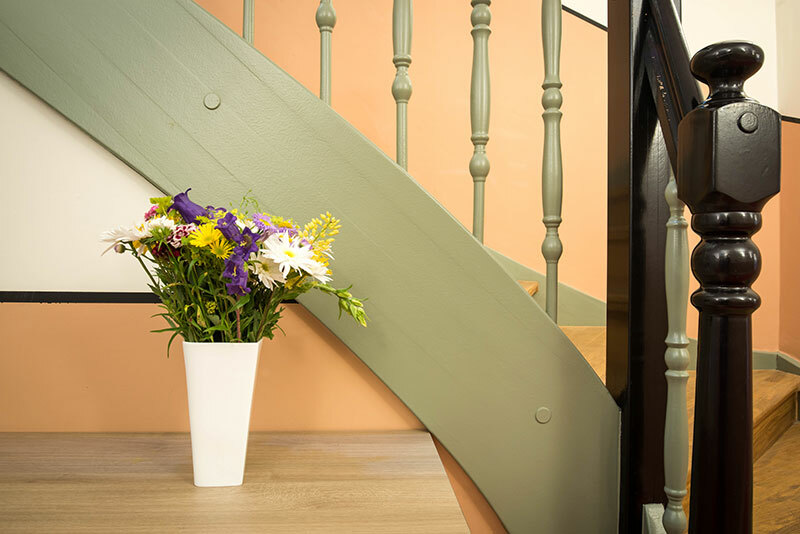 The 300-year-old building has been lovingly restored and now comprises 16 double rooms, 3 single rooms and 2 holiday apartments with roof terrace. 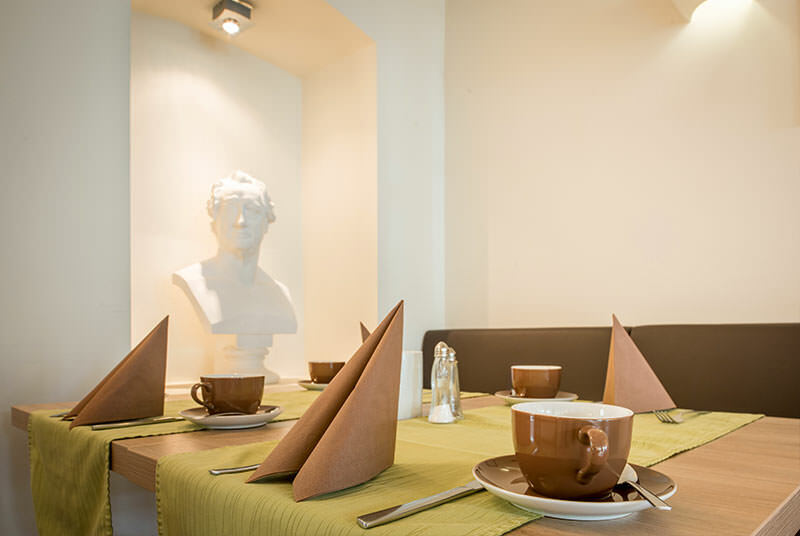 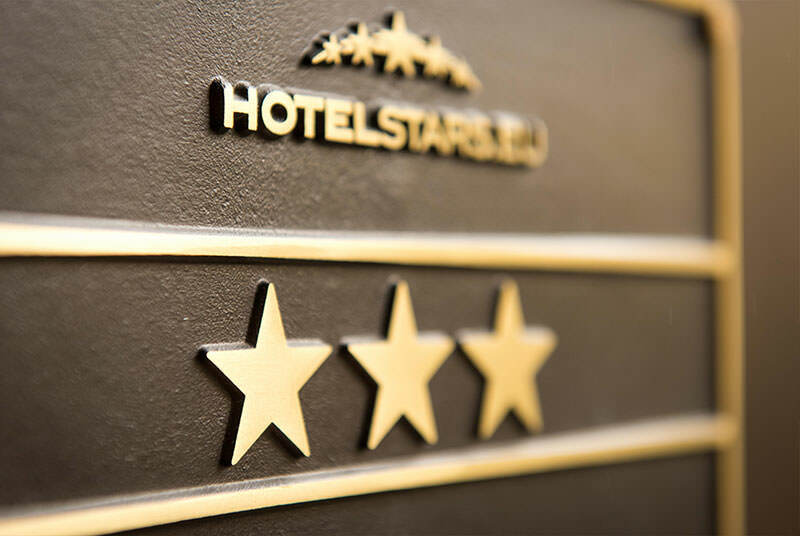 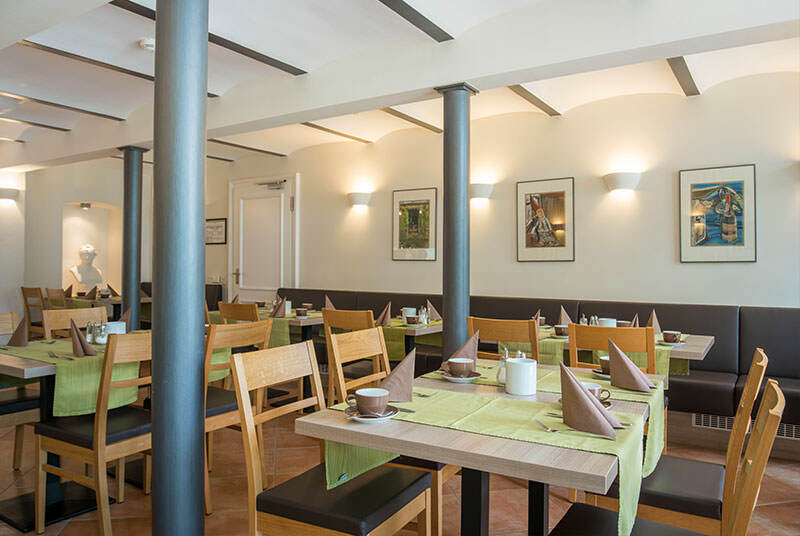 The combination of modern interior design, city centre location and a wide choice of restaurants nearby makes our hotel the ideal starting point for any tourist in Weimar. 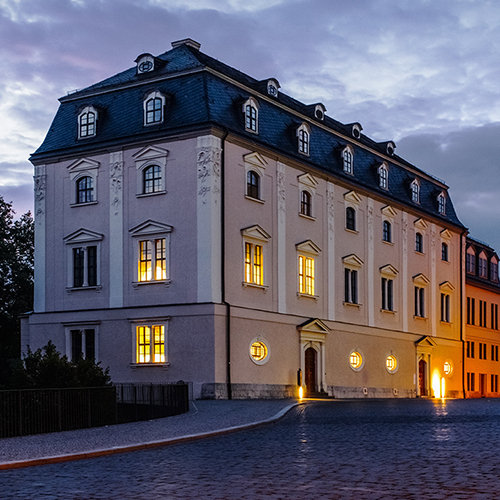 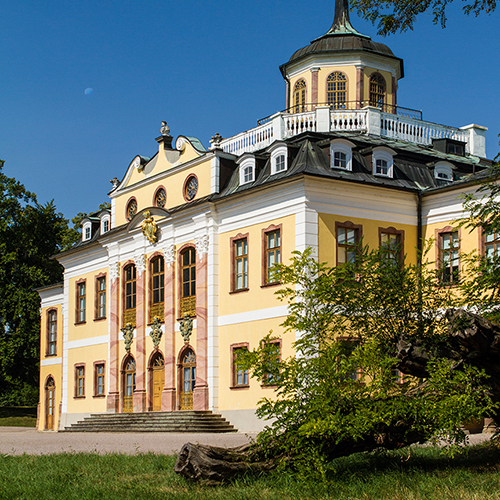 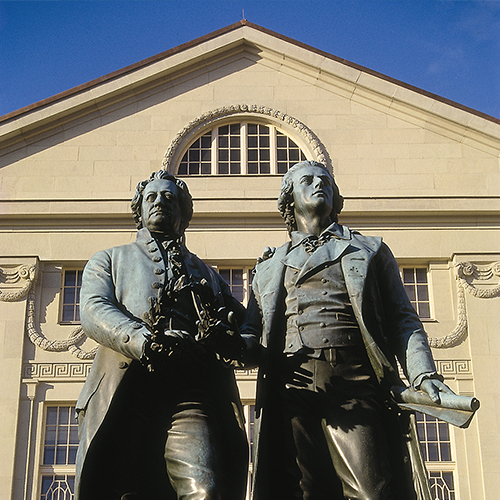 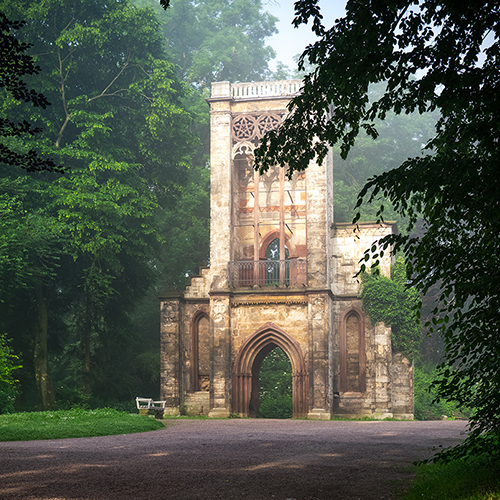 As our guest, you can truly enjoy the incomparable atmosphere of Weimar! 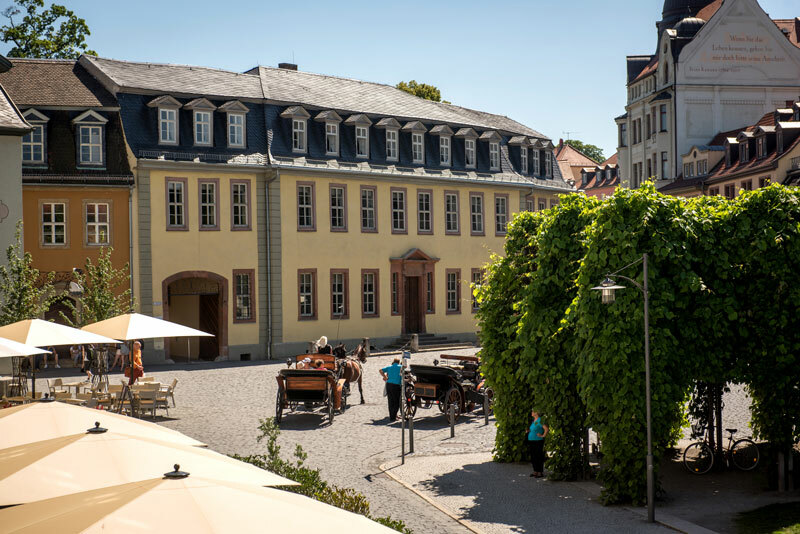 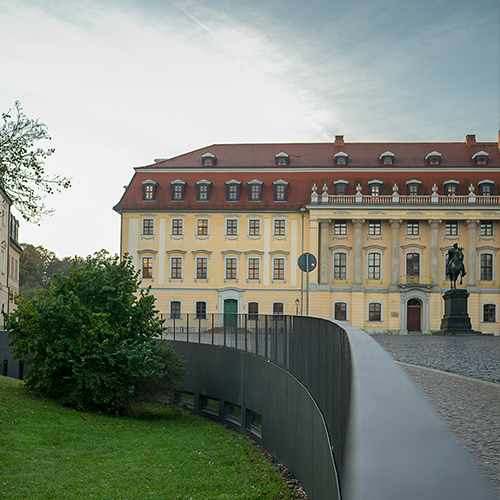 Our HD webcam – live in the heart of Weimar city centre, with a view across Frauenplan to the Goethe House. 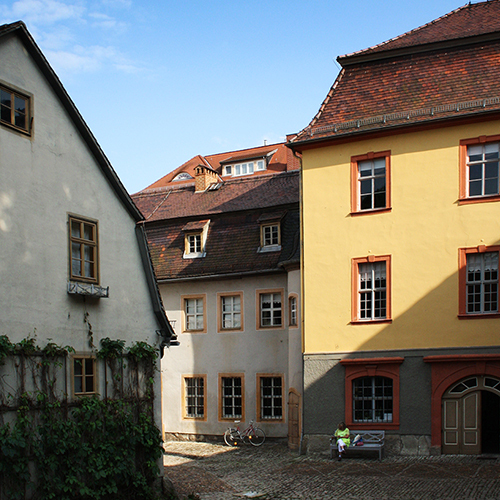 Discover the city of the classics!